This submission was sent to us via twitter, thanks to @lesmondine. 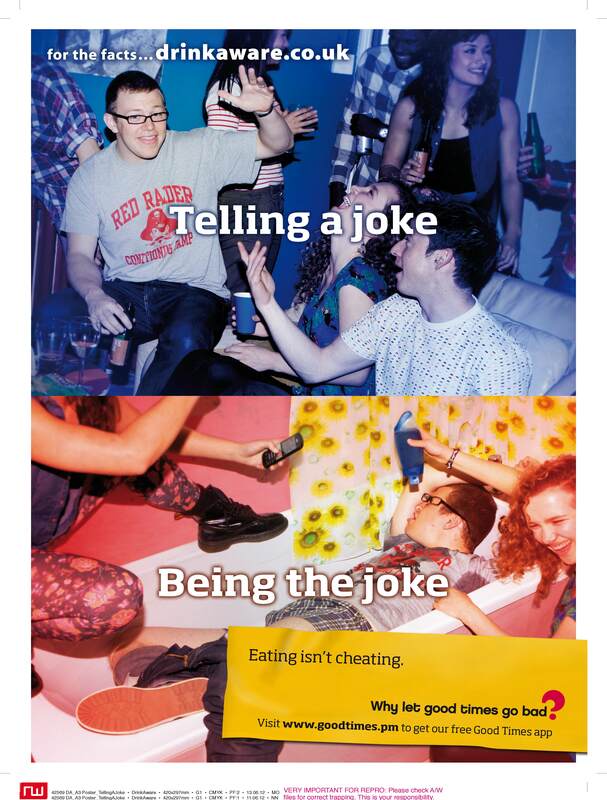 National Pub Watch have this poster, showing how apparently, the 'joke' is on you, if you are consuming alcohol and your trousers are down, exposing your underwear. To us, this isn't a 'joke' - it is an attempt at an indecent assault. How is it acceptable for anyone to remove the trousers of another person, when they are unconscious, in order to take photographs to add to their humiliation? If the trousers have been removed by the young man who is drinking, any decent companions (whether they are friends or not) would be assisting him to ensure he is safe - not joining in with the 'hilarious' joke and adding to his humiliation. National Pub Watch - we accept that alcohol makes people vulnerable. We do not accept that it can be used as an excuse for people to behave abusively, as in this picture. We suggest that your next campaign should focus on the outrageous and shameful behaviour of the people behind the camera's in this photo, not the young incapacitated young man.